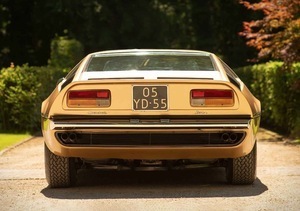 Behold: the 1973 Maserati Bora 4.9 Coupe. 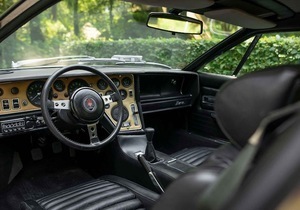 Designed by the legendary Giorgetto Giugiaro (who also designed the Boomerang and the Ghibli), the Bora was Maserati’s first mid-engined, independently suspended chassis and an icon of 1970s automotive design. 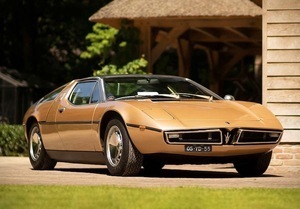 This particular champagne coloured V8 was completely restored in 1989 and can be yours for a trifling €245,500. 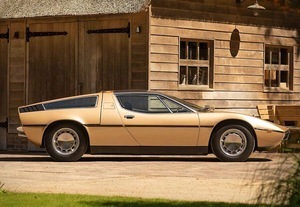 Posted in Design and tagged Maserati Bora at 4:25 pm on March 19, 2019 by Chompsky. I want to like but I decidedly do not like. Not as nice as my vw bora. Hot Wheels is great and I wear rubber training pants. Please replace it with Hot Heels. No. Add Hot heels, by all means. Not replace. Who died and made you King, hah? Though I’d say yes to Hot Meals. I like that the radio is way over on the driver’s side; s/he who drives decides the radio station. ( I nearly just said “he” there…and let my self down badly).